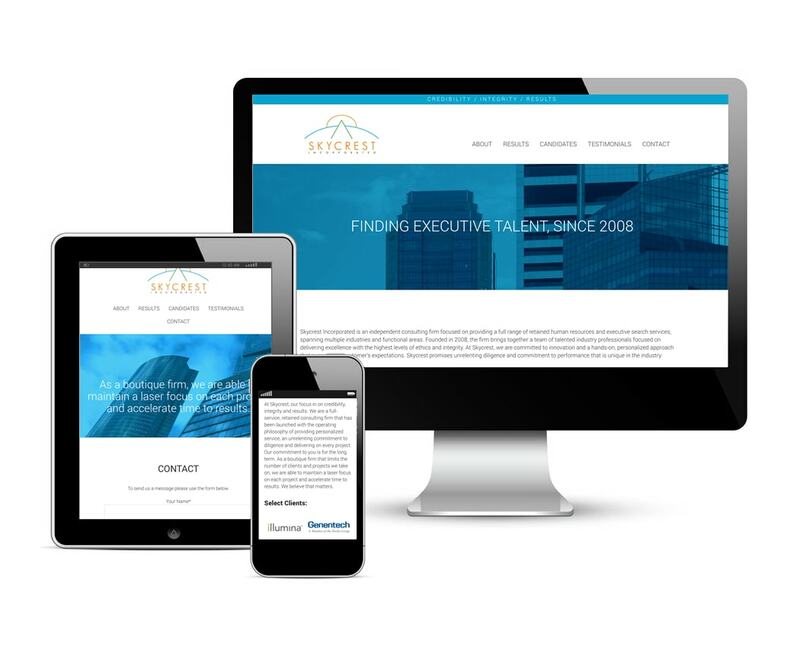 Web Design for San Diego Executive Search Firm // Skycrest Inc.
Skycrest Inc. is an independent consulting firm focused on providing a full range of retained human resources and executive search services, spanning multiple industries and functional areas. A boutique firm established in 2008, Skycrest is located in San Diego and was founded by Melissa Armentrout. Skycrest was utilizing an outdated website that not only needed a updated, modern, corporate feel, but did not support potential clients browsing on mobile devices. The company wanted a new site that would better communicate the differentiating factors and experience that sets Skycrest apart. We delivered an entirely new website with an emphasis on an ultra-clean, modern and corporate feel that perfectly matches Skycrest's brand. Because Skycrest is a well-established boutique consulting firm, with no reliance on Google search results, this project is a great example of a smallish website built for functionality and presentation, without the need for technical SEO. The new website is also fully mobile-responsive, allowing potential clients to learn about and contact the firm from any mobile device.